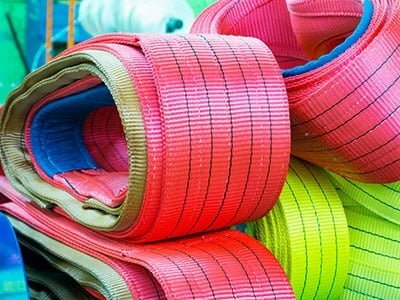 With eighty years of combined expertise in the industry, All About Lifting & Safety is one of the best webbing suppliers specialising in the perfect, high quality webbing sling for your needs. 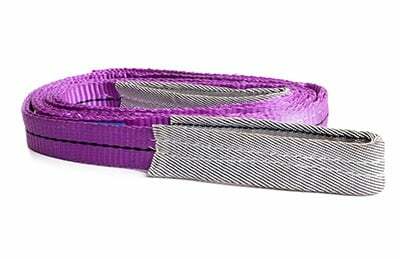 Webbing slings are made from synthetic materials such as nylon or polyester. They are lightweight and flexible and the bearing surface is typically quite large. These slings are a popular choice for lifting heavy equipment, as they have some stretch which can help to minimise loading shock. This is why they are an excellent choice when the load being moved has fragile components. All of the fibres in a webbing sling are crucial for maintaining distributed strength throughout your equipment when lifting. If there are compromised fibres anywhere in the sling, you should speak to qualified webbing suppliers, like the team here at All About Lifting & Safety. We can help you to verify that the sling still has the strength to lift your loads, or, if not, to purchase a new, safe webbing sling. Webbing eyes are the areas of the webbing sling that are most likely to wear, since they are subject to rough treatment by crane hooks. Manufacturers have come up with several types of protective measures that you can choose from, including attached hardware and partially and fully lined eyes. Protecting the webbing eye from rough treatment can extend the life of your webbing sling substantially. Speak to All About Lifting & Safety today about the best option for your needs – we are accredited webbing suppliers with the know-how to provide all our customers with the best advice.